Dr. Stephen J. Miloser, D.M.D. 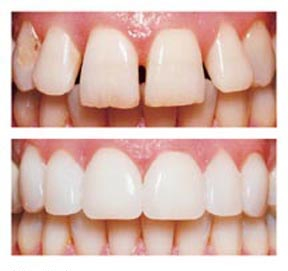 Veneers are thin pieces of porcelain cemented over teeth to change their color or shape. Porcelain veneers can mask undesirable defects caused by gaps, chipping, staining, injuries, discolored fillings, root canals to name a few. Veneers have a longer life and color stability than bonding. During the tooth preparation visit, the teeth are lightly buffed to allow for the small added thickness of the veneer. Approximately a half a millimeter of the tooth is removed, which may require a local anesthetic. An impression is taken and sent to our dental lab for the fabrication of the veneers. During the final visit to one of our Pittsburgh dental offices, your teeth are cleaned with specific chemicals to achieve a bond between the tooth and the veneers. Using a special dental cement the veneers are attached to your tooth . Dental Implants are synthetic structures that are placed in the area of the tooth normally occupied by the root. Implants are anchored to the jawbone or metal framework on the bone and act as a foundation for an artificial tooth or permanent bridge. In some cases, dental implants can be used to attach dentures. Dental Implants are so well designed that they mimic the look and feel of natural teeth. For a successful dental implant to take hold, you must have proper bone density and have a strong immune system. Dr. Miloser will take an in-depth health history and perform necessary testing to determine if you are a good candidate for this procedure. 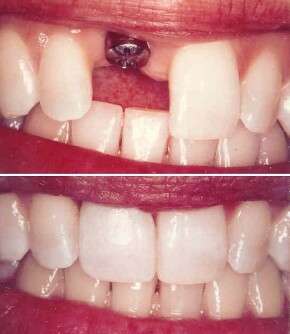 Surgery is necessary to prepare the area for the implant and place the implant in the mouth. Following the procedure, a period of time is required for the implant to take hold and for the bone tissue to build up and anchor the device. 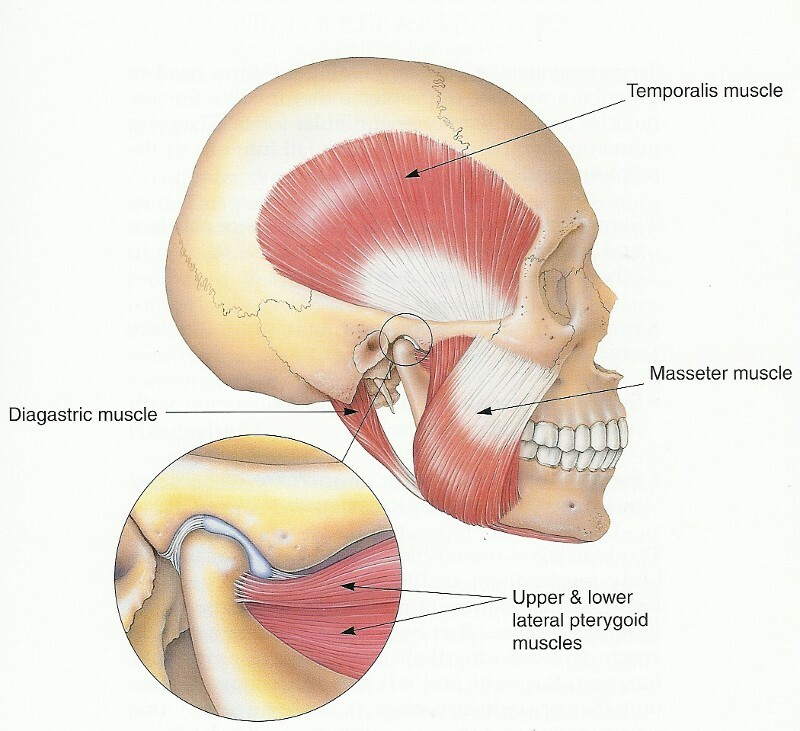 The TMJ is the jaw joint located on both sides of the face in front of the ears. 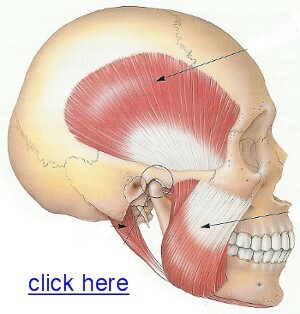 It serves as a hinge for the lower jaw. The chewing system is composed of the jawbone, joints, muscles, nerves and your teeth. If any of the components of the chewing system do not work in harmony, problems may appear. One of the most common causes of TMJ Disorder is the clenching or gnashing of the teeth. The problem is intensified when malocclusion (Faulty bite) exists. The main symptoms of the TMJ Disorder are pain, clicking or popping sounds, limited jaw motion and deviation of the jaw during normal function. In addition to these symptoms, fullness in the ears or dental pain without any dental disease may be noted. Dr. Stephen Miloser has been specifically studying and treating TMJ patients for more than 25 years; working with patients suffering from car accidents, chronic headaches, and malocclusion. He will evaluate your pain and work with you to determine the best treatment options for your specific condition. Your TMJ appointments will include advanced examinations, diagnostic testing, determination of your proper bite and a specific personalized treatment plan. Periodontal disease is the number 1 reason for tooth loss. New research also shows there may be links between this disease and other diseases such as stroke, bacterial pneumonia, diabetes, cardiovascular disease and increased risks during pregnancy. Smoking also increases the risk of periodontal disease. The disease is usually painless in the early stages. Four out of five people have periodontal disease and don't even know it. Periodontal disease is characterized by red, swollen and bleeding gums. 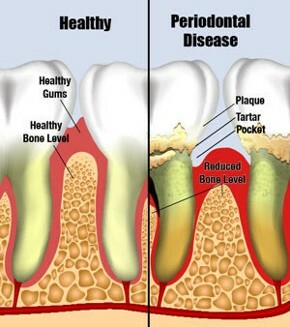 Periodontal disease attacks the gums and the bone that support the teeth. Plaque is a sticky film of food debris, bacteria and saliva. When plaque is not removed it turns into tarter. Untreated, plaque and tarter will begin to destroy the gums and bone. When oral cancer is detected early, treatment can be successful 82% of the time. Because early detection is a key to survival, it is important to see your dentist regularly. An annual screening exam called Vizilite Plus with TBlue used in conjunction with a routine head and neck examination performed by Dr. Miloser and his staff, can help to find abnormalities that could lead to cancer. The Vizilite Plus exam is painless and can be performed in just a few minutes. First, our staff will examine your mouth and look for any abnormalities. Next, you will rinse with a solution that will help us conduct the Vizilite exam. The third step involves using the Vizilite to examine your mouth. If a suspicious lesion is detected, it will be marked with a blue dye. At that point, Dr. Miloser and his staff will use their expertise and may ask you to come back in a few weeks to follow up, or may refer you to an oral surgeon for a biopsy. Millions of people are affected by snoring. Snoring doesn’t merely interrupt your sleep cycle; the struggle for breath can result in soaring blood pressure which can lead to stroke. At certain levels of severity, complete blockage of the airway space by the soft tissues and the tongue can occur. If this period of asphyxiation lasts longer than 10 seconds, it is called Obstructive Sleep Apnea (OSA), a medical condition with serious long-term side effects. During sleep, muscles and soft tissues in the throat and mouth relax, shrinking the airway. This increases the velocity of airflow during breathing. As the velocity of required air is increased, soft tissues like the soft palate and uvula vibrate. The vibrations of these tissues result in snoring. Silent Nite is a custom-fabricated dental device that moves the lower jaw into a forward position, increasing space in the airway tube and reducing air velocity and soft tissue vibration. Special Slide-Link connectors are attached to transparent flexible upper and lower forms. The forms are custom laminated with heat and pressure to Dr. Miloser’s model of your mouth. The fit is excellent and comfortable, permitting small movements of the jaw (TMJ) and allowing uninhibited oral breathing. Miloser Stephen J, DMD has been recognized as a top Pittsburgh Dentistry practice in 2015. Congratulations to the entire team! Wexford, Warrendale, Cranberry Township, Mars, McCandless Township, Ross Township and more.